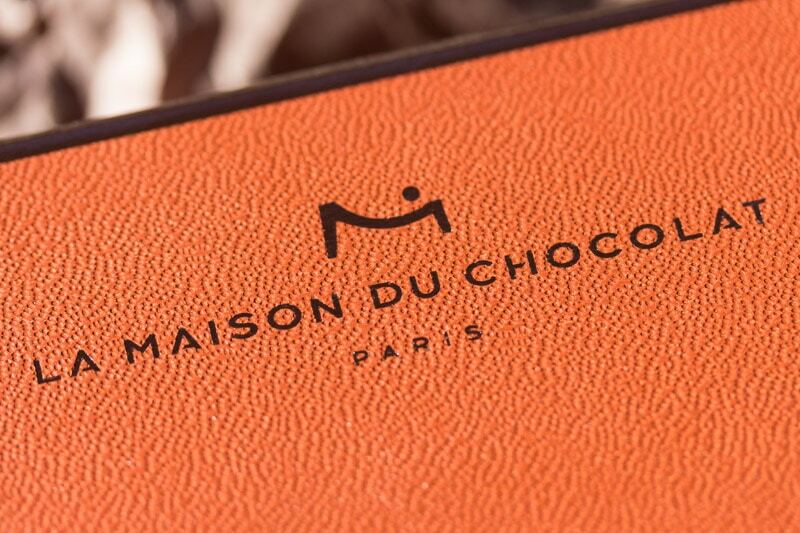 I tasted every piece in the Coffret Maison (“House Box”) from famed chocolatier La Maison Du Chocolat. Find out if this fancy chocolate was worth the price! There are two schools of thought on chocolate. One school of thought proclaims that all chocolate is worth eating, because it’s chocolate. The other school of thought proclaims that only the best chocolate is worth eating, because why should one waste precious time, money, and calories on subpar chocolate? I will freely admit that I belong to the second school. Does that make me a chocolate snob? However, I am also a chocolate skeptic. It takes more than a pretty package to pass muster. In fact, I follow strict guidelines on how to buy good chocolate. While doing a little research on the subject of good chocolate, I ran across an article from 2005 that reviewed several brands of “gourmet” chocolates available to buy online. The rave review of La Maison Du Chocolat caught my eye, and I decided to order an assortment called the Coffret Maison for myself to see if it was as good as it was described. The price was what I would describe as a very big splurge. At $65 for about half a pound of chocolate (I was lucky enough to snag free overnight shipping), it’s the kind of purchase that most of us would save for a truly special occasion. 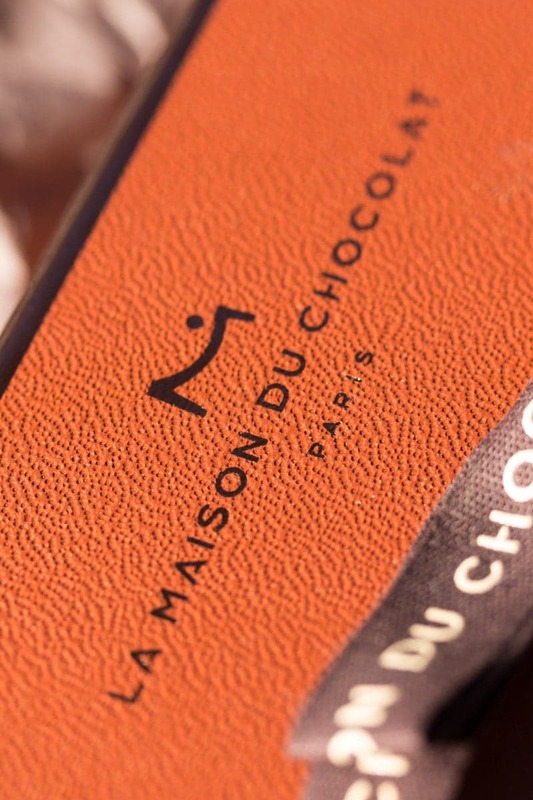 Each review is grouped with its fellow pieces, as categorized by La Maison Du Chocolat. You can also see the full list of chocolates that came in my box, including pictures of each individual piece. Anastasia. Hazelnut gianduja praline coated with dark chocolate. A particularly satisfying praline that hits all the right notes of sweet, salty, bitter, creamy, and crispy. Figaro Noir. Dark chocolate praline with roasted almonds and hazelnuts. Tiny bits of nuts seem to be an afterthought in this piece. Good but not memorable. Liselotte. Hazelnut gianduja coated with milk chocolate. Gianduja is a sweet chocolate spread containing about 30% hazelnut paste. If you like hazelnut spreads, you’ll enjoy Liselotte’s gianduja filling for its rich hazelnut flavor and velvety texture. Rocher Noir. Almond and hazelnut dark chocolate praline with bursts of roasted almonds. Sweet, smooth, and strong flavor, a bit reminiscent of a caramel latte blended with almonds. Traviata. Almond and hazelnut praline with bursts of roasted and caramelised almonds. Assertive dark chocolate with larger, cruchier “bursts” of roasted almonds. A well balanced praline. Akosombo. Dark chocolate ganache with spicy notes with cacao beans from Ghana. A dark chocolate ganache with plenty of character. Reminiscent of a dark chocolate ice cream with flavor notes of fragrant wood and fruit and a dry, tannic finish. Boheme. Whipped milk chocolate ganache. 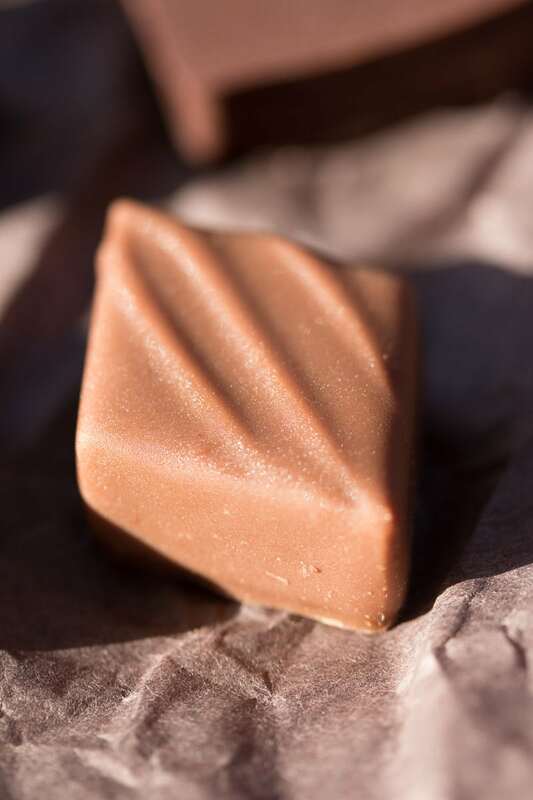 Mild and very sweet milk chocolate with gentle flavors of caramel in the soft filling. Caracas. Full-flavored dark chocolate ganache. The closest thing to chocolate-covered fudge you’ll find in this box, the Caracas has a classic chocolate flavor with a dry finish. Caramelo. Milk chocolate ganache with silky caramel. Fans of “Rolos” will enjoy this piece, which features a milk chocolate ganache blended with caramel. Sweet and nostalgic. Extreme Chocolat. Dark chocolate ganache. A very dark chocolate piece that emphasized the berry fruit flavor notes in the high-quality dark chocolate. Quito. Semi-sweet dark chocolate ganache. Brings to mind classic chocolate frosting with a pleasant mineral finish. Sylvia. Milk chocolate ganache. Similar to the Boheme. Very sweet and mild, but with a firmer ganache filling. Abyssinie. Dark chocolate ganache cold infused with coffee from Ethiopia. This piece had a smooth, fresh coffee flavor that balanced well with the chocolate. It had a odd hint of mint, which may have been from sitting in the box next to a mint piece (there were no separators between pieces). Andalousie. Dark chocolate ganache with South of France lemon zest and lemon cream. 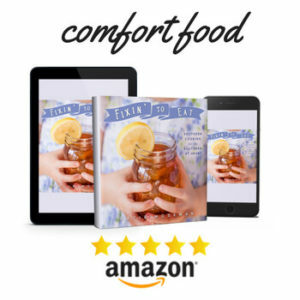 An absolutely stunning piece with delicately floral lemon flavor perfectly in balance with chocolate, the smooth filling reminiscent of a chocolate flavored lemon curd. One of my favorites. Cannelle. Dark chocolate ganache infused with cinnamon sticks. I’m not always a fan of chocolate plus cinnamon, but this bold piece won me over. The cinnamon was spicy and fresh with a pleasantly lingering aftertaste. Chiberta. Dark chocolate ganache infused with orange zests and blended with orange cream. I wanted so much for this to be as good as the Andalousie, but it fell far short. Instead of the flavor of a ripe orange, this orange flavor was unfortunately similar to the orange flavor in gummy orange wedges. Maracuja. Dark chocolate ganache with fresh passion fruit juice and pulp. 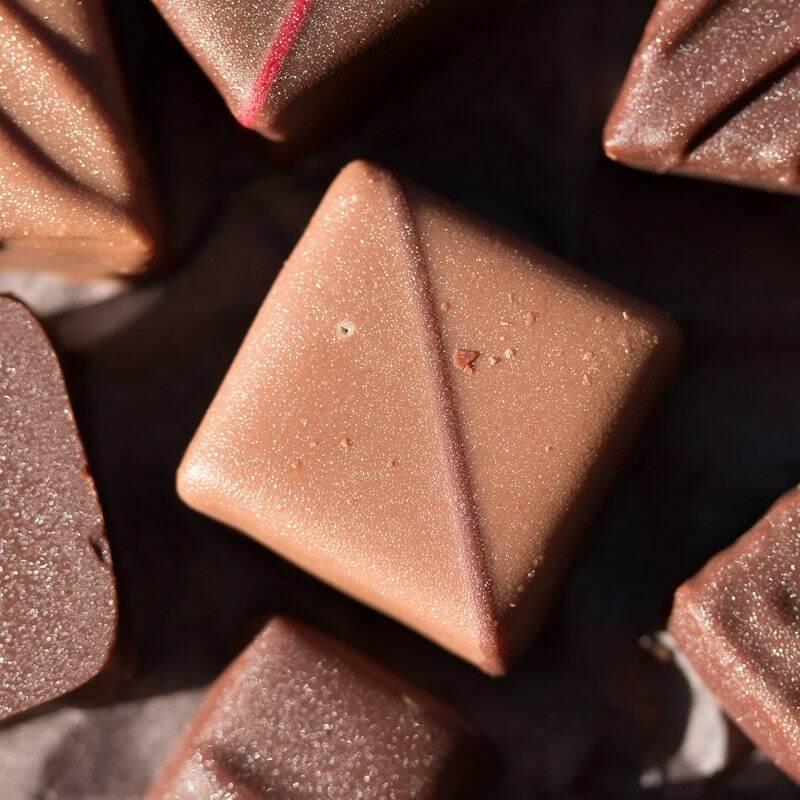 The lively, juicy, and authentic passion fruit flavor made a unique complement to the dark chocolate. Unique and memorable. Noir de Cassis. Dark chocolate ganache with black currant from Burgundy. This piece was surprisingly tart, yet it demonstrated perfect balance between fruit and chocolate. An excellent flavored ganache. Salvador. Dark chocolate ganache with raspberry pulp from France. The raspberry flavor was bold like a raspberry liqueur, leaving the chocolate to play second fiddle in this piece. Zagora. Dark chocolate ganache infused with fresh mint leaves. This mint-infused ganache (similar to my mint-infused brownies) captures a true and fresh mint flavor, quite different than what you would get from a mint extract. Highly recommended for lovers of mint. Jolika. A dark chocolate covered almond paste with pistachios. This was my least favorite piece. The gummy yet dry paste was entirely unappealing. I wonder if this type of filling is simply not common enough in the US for me to have acquired a taste for it. Orangettes. Candied orange peel coated with dark chocolate. For some reason, I expected this to be a whole strip of orange peel, but instead it seemed to be a gummy filling containing bits of orange peel. With a similar orange flavor to the Chiberta, the Orangettes would not be on my list to purchase again. Rigoletto Lait. Caramelised mousse coated with milk chocolate. Unexpectedly complex for a caramel-flavored filling, with flavor notes of brown butter and burnt sugar in a silky mousse. One of my favorites. Rigoletto Noir. Caramelised mousse coated with dark chocolate. See Rigoletto Lait. Both were good, but I preferred the Rigoletto Lait’s milk chocolate coating because it lets the flavor of the filling shine. Was the Coffret Maison worth $65? With a only few duds, I would say that the innovative flavors of the ganaches and mousses plus the reliable quality of the pralines made the Coffret Maison a solidly enjoyable box. I emailed La Maison Du Chocolat to inquire if I could special order a box with just my favorite pieces. Happily, it turns out that one can do just that. It only applies to the Coffret Maison, and the order must be phoned in to the store. Personally, I would order a box containing my favorites: Rigoletto Lait, Zagora, Noir de Cassis, Maracuja, Andalousie, Abyssinie, Quito, and Akosombo. I’d also like to try a few pieces that didn’t appear in this box: Valencia (dark chocolate with Grand Marnier), Yoko (tea-infused dark chocolate), Micaela (milk chocolate with Hawaiian coffee), Cerise Griotte (cherry cordial), and Bacchus (dark chocolate with raisins flambeed in rum). I enjoyed the experience of sampling different pieces and would recommend this box (or a similar one) to celebrate a birthday, a holiday, or an anniversary with a true chocolate connoisseur. 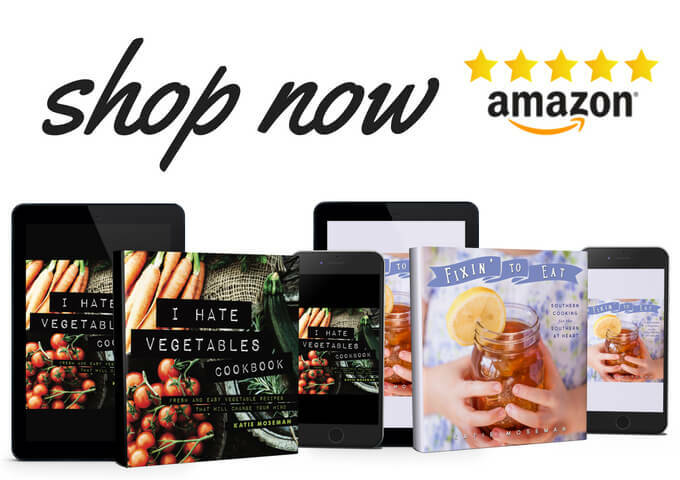 It’s a splurge, but—especially if you can get free shipping—I say go for it! 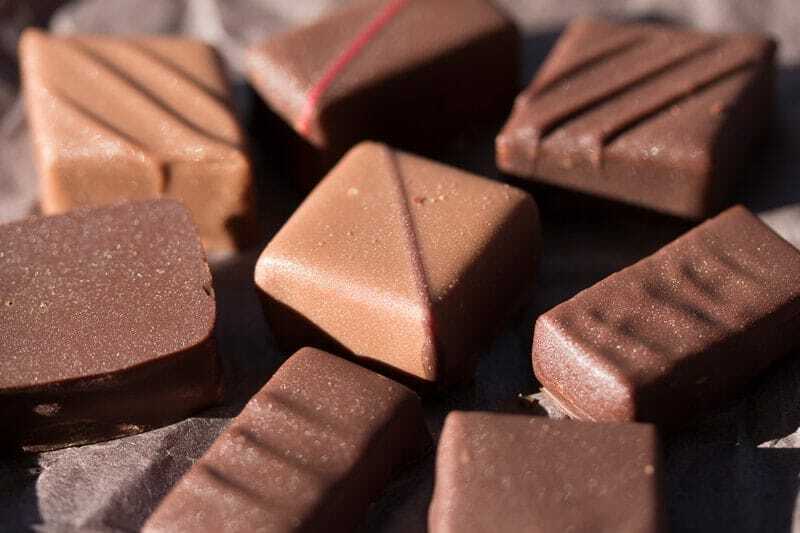 Share your thoughts on gourmet chocolate with me in the comments! I love chocolates with nuts or plain, but I am not one that enjoys flavored chocolates. These sound delicious with the exception of the flavored ones (to me)! This is SUCH a Perfect stocking stuffer from my hubby who is addicted to chocolate. Thanks for the idea! I am a huge chocolate fan. This looks like such a delicious set of chocolates. This would make the perfect gift for a birthday, holiday, etc. I will admit, I am in the first school of thought. I will eat chocolate all day, every day. 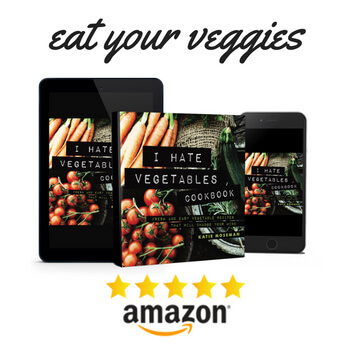 No snobbery here! This sounds like amazing chocolate. I would like to try the one with passion fruit, because I really enjoy passion fruit. What a great Christmas gift idea! Personally I would have a hard time choosing between what to try first, the Boheme and Caramelo are right up my alley! Trying those chocolates must have been so nice. I definitely need to experiment with gourmet chocolate more. All of those chocolates sound absolutely incredible! I would love to try out the caramelo, that sounds spectacular! Oh my goodness the way you described those chocolate makes me want to go get some now! I think the caramelo should hit the spot for me! What a scrumptious treat to share. I will most certainly have to try some. Yum! I freely admit that I am of the first school. All chocolate is worth eating because, well, it’s chocolate! With that said, I do love a GREAT piece of chocolate and this one looks like it would fit the bill! Thanks for sharing! Omg this sounds delicious! $65 is steep but for a special occasion it definitely sounds worth it! You had me at chocolate!! This chocolate looks yummy!! Great post!! Big chocolate freak over here! This looks amazing. I love me some good, quality chocolate which can sometimes be hard to come by anymore! Looks delicious. I’ve tried their chocolate bars and their salted caramels, which I adore, but not any of the wonders you describe. Nice review. This sounds like my kind of chocolate. I bet I would really love the Caracas as well as all of the others. Hubby and I used to love eating chocolate, but now have since cut way back on anything containing unnatural sugars. I do, however, like to grab a few pieces of unsweeten treats every once in awhile and these look decadent. Oooo how yummy!!! A pref e.g. Treat for pretty much anyone because well, who doesn’t love chocolate?